Posted On March 17, 2018 by Team iCynosure. I’m a ‘six small meals a day’ person, and at around 7:00 pm each evening I’m in a dilemma about what to eat that will not be a roadblock in my fitness regime. At times I struggle not to give into my junk food cravings, and sometimes my evening hunger pangs lead to binge eating that affects my waistline as well as my overall health. However not eating anything at all adversely affects my health and thus I am constantly in search of healthy, low-calorie snack options that are tasty and which will help keep my hunger at bay and my weight in check. Let us be honest there aren’t any relatable food options that are light enough for an evening snack while being healthy and tasty. Yes, there is always the option of fruits or a handful of nuts, but there are no real flavours that satiate my taste buds. I remember when I was younger my mom used to toil in the kitchen to make me some amazing soup and a bowl of salad as a precursor to my meal, but those days are long gone and trust me I do not have that amount of quality time to spend in the kitchen. But it has always remained an important memory that I would love to recreate with my little one as hunger does strike us at various times of the day. 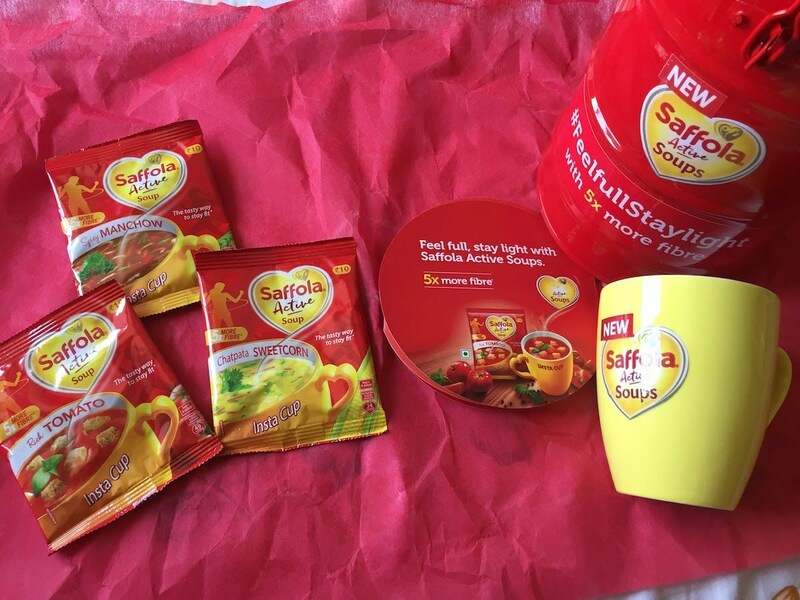 And now this memory can be a reality as Marico has launched Saffola Active Soups with 5 times more fibre than any other soup. Each cup is rich in fibre that ensures that you feel full and stay light while relishing your favourite flavour. It is indeed a tasty way to stay fit. The soups are available in a range of flavours like tomato, hot & sour, mixed veg, sweet corn, and manchow, so that you never get bored. The soups are easy-to-make, you just need to add 150ml of hot water in a cup full of the pack contents and savour away. A cup of instant soup has only about 2% of your daily calories required with 5 times more fibre and real vegetables. 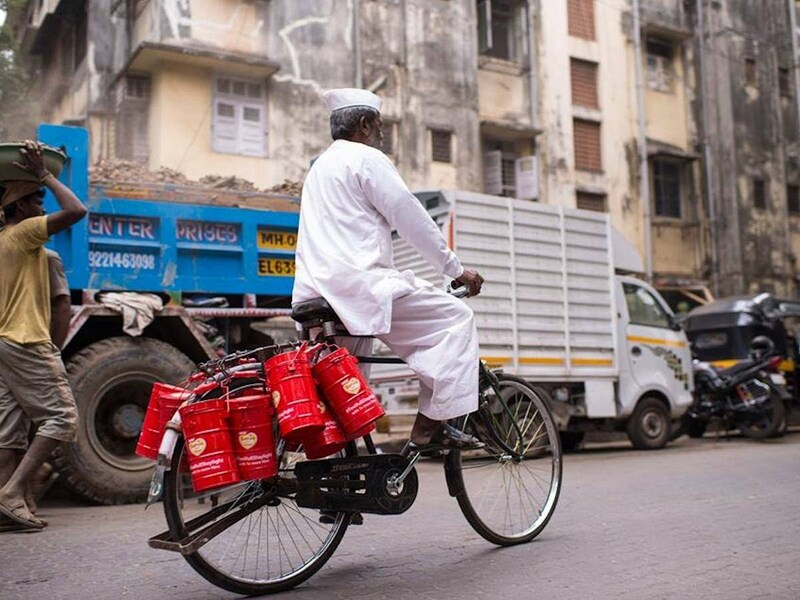 The brand sent me their newly launched product in an innovative way. I would definitely recommend Saffola Active Soups to everyone for its lower calorie count as well as dietary fibre that jumpstarts metabolism to keep one fit and light. So forget about your evening hunger pangs and fill yourself with the Saffola goodness.